Rosacea is a skin condition where the skin turns red and is sometimes coupled with the appearance of pimples. The cause ranges from food allergy to temperature increase to lifestyle disorders. You do not always have to resort to taking antibiotics in order to control rosacea. There are many herbal remedies for rosacea that you can try for relief. The whole idea of treating rosacea is about soothing the redness and inflammation. So we use various herbal remedies for rosacea that will cool down the inflamed skin and also get rid of any infection on the skin surface. However, be sure to do a small patch test before you do a full blown application of the remedy since rosacea affected skin tends to be sensitive and you never know what can cause it to flare up. Finished your cup of green tea and are wondering what to do with the tea bag? Chill it in the fridge for a while and apply the tea bag on the affected areas. 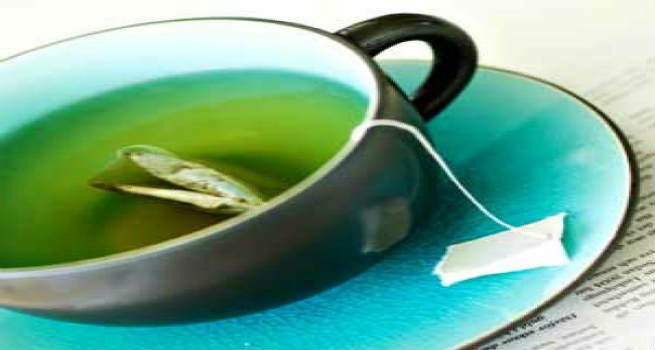 Green Tea is known to have a soothing effect on the skin and is also anti-inflammatory. It will relieve you of any skin irritation and also reduce redness of the skin. Cucumber is another ingredient that is known for its cooling properties. Peel and grate a cucumber and apply it as a mask on the irritated skin and leave it on for about half an hour. Wash it off with cold water. You could even puree it with an egg white and apply the mask on the skin for better relief. 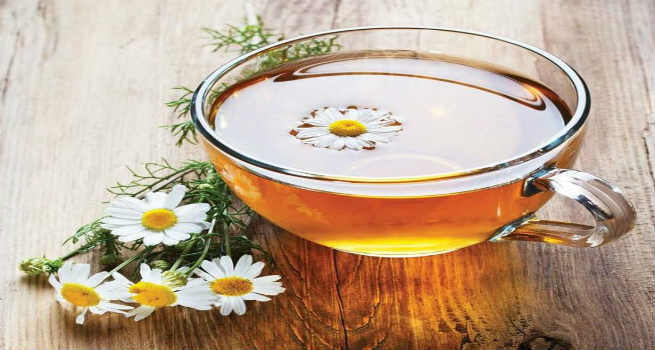 Chamomile not just relaxes your mind and nerves, it also helps fight any skin infection and any flare up in the skin. Brew a cup of chamomile tea and refrigerate it for an hour so that it becomes cool. Now soak a clean washcloth in this tea and cover your face with it. Leave the compress on the face until it is cold. Repeat a couple of times at regular intervals for best results. What better than aloe vera gel to soothe inflamed skin? Apply a tsp of aloe vera gel after washing your face and let it remain on the face through the day. Alternatively, you can even add some green tea extract to the gel for doubly better results and a mild fragrance that lasts through the day. Oatmeal helps soothe the symptoms of rosacea by fighting the irritation and the itchiness associated with it. Mix a tsp of oatmeal in two tsp of lukewarm water. Leave it for ten minutes after which you can slightly mash it and make a paste. Apply this paste all over your face and leave it to dry. Wash it off with cold water and pat your skin dry. Oatmeal will also gently moisturize your skin and leave it soft and itch-free. Licorice root is rice in flavonoids, phytosterols and coumarins, all of which help in treating rosacea. You can use store bought licorice extract or for best results, make it fresh at home by boiling the licorice root in water and reducing the water to half its original quantity. Let it cool and apply it on the skin for instant relief from redness. Aside from these home remedies, remember to use alcohol free cosmetics, apply sunscreen liberally when you step out and most importantly, keep your face clean and grime free.